CULLMAN -The Cullman Child Development Center (CDC) is, for the most part, a state-of-the-art facility for the education of special needs students. Since Principal Chris Chambers came on board a few years ago, the entire facility has been made wi-fi capable, bandwidth has been increased, overhead digital projectors and screens have been installed in classrooms and keypad locks have been installed on all exterior doors. He has overseen the repainting of halls and classrooms, and the creation of specialized teaching and therapy spaces. Now it's the playground's turn. Chambers said, "What we have right now is outdated, and needs to be updated." The current playground is short on handicapped accessible equipment, and on equipment designed to give students a sensory experience. The principal hopes that is about to change. He's looking at a project that will make the CDC playground more accessible, and provide a wide spectrum of special needs students with activities geared toward them. He doesn't want a quick fix; he wants it done right. The project could take three years and potentially cost more than $400,000. Chambers said, "We're looking at pieces of equipment that'll be specially designed for kids, but also kids can just enjoy going and playing on, just like they would at any school. Some pieces are going to be specially designed to meet different needs, so it's going to be a lot more inclusive. We need the equipment to meet that inclusive part. Once we get everything in place, it's going to meet the basic adapted physical education needs, hopefully, and sensory needs of students with severe needs, occupational therapy needs, physical therapy needs, and things like that. Our goal is to make it a public-use playground in the future. When we get our big project finished one day, it'll be a place where kids can come and have birthday parties, special needs adults can come. A lot of places are not accessible; we've got very few pieces of equipment in the county that are accessible, so we're trying to make it accessible for our kids, but also for use in the community as well." The CDC has started working with experts in the field, and is reviewing preliminary concept designs drawn up by J.A. Dawson & Co./GameTime playground equipment suppliers. Chambers hasn't neglected the consumer end of the project in considering the playground's needs. For the time being, everything is still preliminary. The CDC and designers are still in the planning stages, but parents of CDC students and school staff are already getting excited about the prospect of a new and better playground. 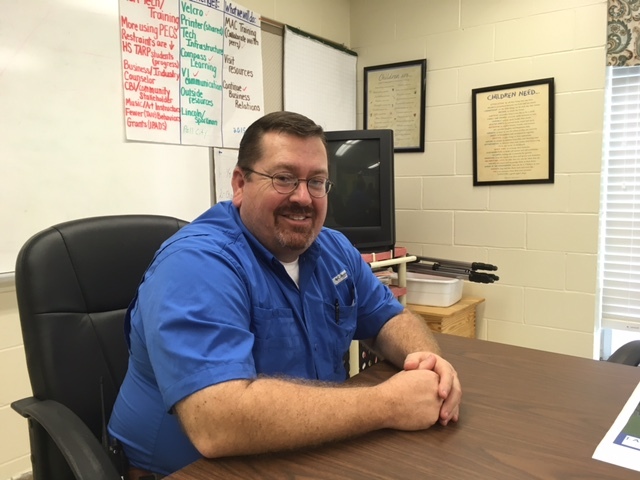 The Cullman County School Board’s Dr. T.J. Franey has begun working on grant applications to help with construction, and CDC parents have taken fundraising into their own hands. On Jan. 25, they will sponsor a Swamp John’s dinner for a special fund the school has set up for the project. At the Cullman VFW post (112 Veterans Dr. SW) from 3-6 p.m., folks will be able to purchase fish, shrimp or chicken dinners for $11. "Right now," said Chambers, "this Swamp John’s fundraiser sponsored by some of our parents is just to get everything started. We're going to donate all proceeds to get our project off the ground. And we've got a lot more planned for our playground. When we do get a website and some other things going, people will know exactly where their donations are going or what the grants are being written for." Chambers is excited to see his school take this next step in becoming the best service provider it can be. He said, "We've got our purpose, we've got our goal. We know it's a need, and it's going to be an ongoing need, not just for this school, but for the community as well." For more information, visit http://cdc.ccboe.org.